Kushtrim Munishi takes a sup of beer and rests his broad shoulders against his chair. The clunk of the glass on the table as he replaces it punctuates the momentary quiet between two unmistakably trans-Atlantic pop tunes being pumped into the bar. It’s a place which isn’t deliberately themed, but it’s still been decked out in a typically Western style. In Pristina in 2018, that’s just the way things are done. From here it’s not much of a walk to Bill Clinton Boulevard, or to the fashion store, Hillary, that sits just a few yards away from the statue of the former US president, erected in 2009. The man himself even touched down in Pristina for the unveiling. Huge crowds turned out to pay their respects to a statesman held in the deepest regard in Kosovo. Largely a top-down sentiment cultivated by the government of prime minister Hashim Thaci, this admiration for western culture nevertheless cuts across Pristina. That the country has a habit of looking westward across the Balkans isn’t surprising. It was, after all, a NATO military campaign that brought the 1998-99 conflict between Kosovo’s Albanian population and their Serb rulers to its end, preserving the lives of an uncountable number of people. Coalition with those same allies today hints at prosperity and protection against near neighbours, many of whom fall under Russian influence and would happily deny Europe’s youngest state its right to exist. I’m meeting Munishi, a one-time star of Kosovar football and perhaps the most famous name from the 1990s to be associated with the game here. We discuss the events leading up to the conflict, a troubled seven-year period during which Albanian nationhood was choked in the wake of a maniacal Serb paranoia. Sipping beer in this relaxed downtown bar, it’s difficult to fathom that this country was so recently at war. In response to the worsening security situation, the Albanians – led by FC Pristina forward and current Football Federation of Kosovo (FFK) general secretary, Eroll Salihu – split from the federal league and formed a newly independent football league of Kosovo. During that time, footballers were turned into petty criminals, risking court appearances and fines just for turning up and keeping their new competition alive. Too often, the repercussions would lead to violence. “The pressure on the team when we visited Serb stadiums was hard,” Munishi says of the last days of Kosovar clubs’ involvement in the Yugoslav federal league, before the decision was made to break away. “They would offend us with racial taunts. The home fans and the political situation we were in made it very difficult. “What came next was very, very difficult too for us… to play without stadiums and in fields. What kept us going was hope that there would come a day when Kosovo was going to be free again and we could play just like normal footballers. The 1980s had been a golden period for football in Kosovo. FC Pristina had achieved an against-the-odds promotion to the Yugoslav First League in 1983. In their debut season in the top tier, the team defeated Serb giants Red Star 3-1 at their fortress home in Belgrade, the Marakana. Pristina’s success was set against a backdrop of heightening political tensions in the city, as vast swathes of the public took to the streets to protest against the Kosovar Albanians’ dwindling influence over their own affairs. Belgrade retaliated by tightening the leash, sending armed reinforcements to the capital to tame the dissenters. Meanwhile, punitive measures were introduced to suppress the use of the Albanian language, while local people were purged from public office. There were widespread fears throughout the 1980s that the restlessness in the streets would drag the region into war. Those concerns reverberated across the Yugoslav federation and beyond. 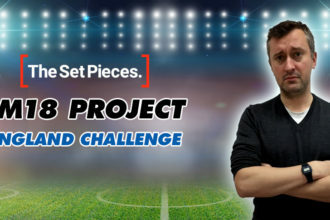 As life became increasingly difficult for ordinary Albanians, FC Pristina played their way to an unlikely promotion, employing a team of predominantly Albanian players under the tutelage of the seminal football mind, Bela Palfi, a Serbia-born Hungarian with a fine grasp of Balkan politics. One of the stars of that side, the flying forward Edmond Rugova, left Kosovo for a new life in the US with the New York Cosmos in 1985. When he returned in 1992, he found the relationship between Albanians and Serbs at breaking point. By this stage Yugoslavia was violently erupting and collapse was imminent. Mass slaughter of civilians was under way in Croatia, as Serb militias resisted the republic’s recently proclaimed independence. Bosnia-Herzegovina would follow soon after, ushering in three years of the most remorseless killing Europe had seen since Nazi occupation. War was expected to break out in Kosovo, but the status quo held. It was a warm spring day in the tiny village of Llukar, just outside the capital. A match between Pristina and a now-forgotten opponent had just been broken up by a single-armed Serb police officer, and the gathered crowd had dispersed quickly and quietly – just as they had done a dozen times before. This was a shame. The game’s organisers had found a perfect spot for football: a clearing with soft ground in what was an otherwise heavily wooded area. It was still and beautiful, somehow remaining so even as tackles flew and studs raked down shins. This was football in the Balkans, after all. Llukar was calm that day, at peace. Rugova always made a point of going to see his former teammates play whenever he returned to Kosovo from the US. Today he was watching Jusuf Tortoshi, a perennial substitute during the glory years in the Top League but the closest friend Rugova had made in the game. The two men were deep in thought as they left Llukar and headed for Pristina. “If I don’t go back and see that place my eyes are going to fall out,” Rugova pleaded with his friend. That place was the City Stadium in the heart of town, the club’s home ground where the two men had thrilled crowds and soothed a city that was hurting in the 1980s. “I just want to go inside, feel the grass, look around,” Rugova retorted, refusing to let it lie. “Then I’ll be satisfied.” Against his better judgement, Tortoshi agreed. By now, relationships between Serb and Albanian communities had disintegrated to nothing. Interaction was no longer tolerated at street level, and former neighbours – and teammates – became estranged. Pristina had become two cities, living side by side and pretending not to notice one another as they passed by. And, most crucially of all, Albanians were banned from football stadiums. That spring, structural renovation was carried out on the City Stadium. The dressing rooms had been replaced by a temporary cabin-like structure. When Rugova and Tortoshi arrived, a new generation of Pristina players were passing in and out as they prepared for the day’s training. When they saw Rugova and Tortoshi standing there, the atmosphere changed. Everybody recognised these famous faces of Kosovar football, but nobody said a word. As the two legends stood awkwardly at the door amid the crackling tension, they heard a familiar voice. Kosta Lalic was every inch a goalkeeping cliché; a little madcap, the outsider through and through. An imposing frame with unmistakable long blonde hair and a waist-length beard, he was one of the few Serbs to play in the promotion-winning side after Palfi had overhauled the squad with his policy of Albanisation. He also had an endearing tendency to blush like a schoolgirl whenever he felt overcome. Stepping out of this rickety portacabin and coming face to face with his two estranged friends, this was one of those moments. His thick blonde hair framed his face like a lion’s mane as he flushed crimson. After a few minutes of awkward chat, Rugova summoned the courage to put the question. “We wondered if we might just come in, have a look around,” he offered tentatively. Rugova doesn’t remember how long he spent walking on the pitch. What he does remember is looking up to the part of the terrace where, as a 14-year-old boy in the spring of 1973, he had watched his beloved Pristina lose to Osijek of Croatia and narrowly miss out on promotion to the Yugoslav First League. He also recalls walking down to the goal in which his teammate and club legend, now FFK president Fadil Vokrri, had scored two headers in a 3-0 victory over FK Sutjeska in May 1982, when Pristina were celebrating their historic promotion. Rugova had crossed the ball from the right for the opening goal. Around 45,000 people had packed into the City Stadium that day, before flowing out into Pristina for one of the greatest street celebrations the city has ever known. For one glorious night, the sullen anticipation of what lay ahead was put on hold, and the city partied long and hard. Once Rugova was done, he grabbed Tortoshi and the pair headed back towards the makeshift dressing rooms. Lalic had by now resumed work with his team. As they went to exit, Rugova paused and shouted over to him. Lalic turned. As he did so, his old friend raised his arms silently in a gesture. The three men stood for a moment, separated by just a few yards of the battered old pitch of the Pristina City Stadium, the thick end of history now driven immovably between them. Lalic shrugged his giant shoulders, and the two visitors left. Three days later, Rugova returned to Kansas. He never saw Lalic again. Football changes the way life changes. 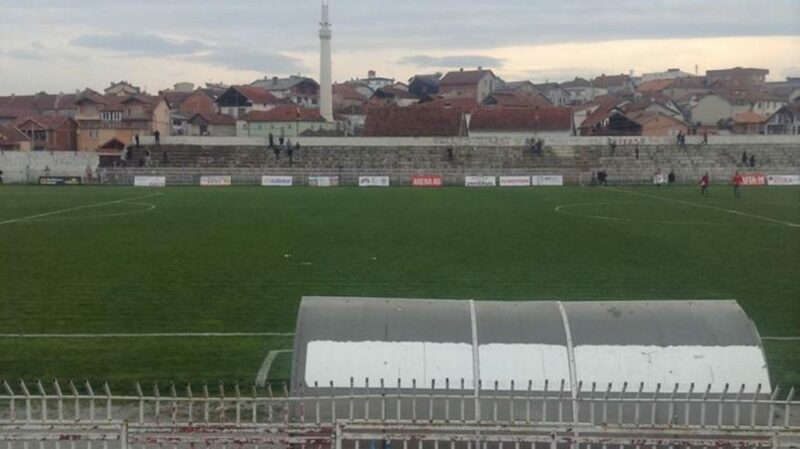 The sidelining of Albanian footballers and their clubs was brutally enforced in Kosovo throughout the 1990s. But it was consistent with the way the balance of power had tipped fatally against the Kosovar Albanians. 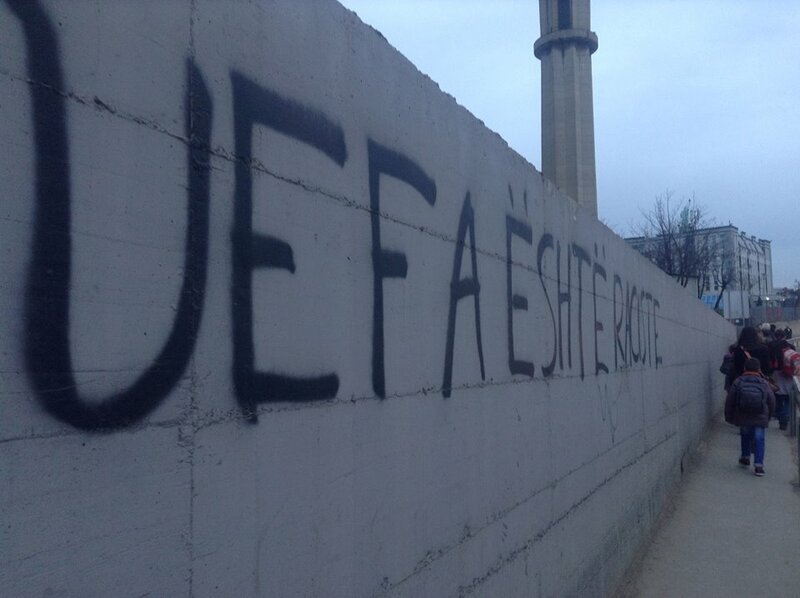 Just as Yugoslav and Kosovan football had parted ways, so too had the state apparatus – de facto if not exactly de jure. Under the helmsmanship of the pacifist intellectual Ibrahim Rugova (no relation), a parallel underground government had been established in the capital through which Albanians could organise the affairs from which they had been formally excluded. It was an unyielding act of defiance, but one that brought the sides no closer to achieving a resolution. The growing influence of the Kosovo Liberation Army (KLA) had weaponised the tensions that had been decades in the making. When, on 5 March 1998, Jashari was killed by a Serb attack on his family compound in the northern province of Prekaz, the country finally erupted into war. It wouldn’t know peace again until the NATO intervention in June the following year. When the guns had gone quiet Kosovo began the long process of re-building, and Munishi returned home from a wanderlust career that had seen him play in Bulgaria, Austria and Poland.“I studied at the University of Pristina in sports science, so I can have more options in the future,” he explains. Not that he was able to stay away from football for long. Munishi was appointed FC Pristina’s first coach following UEFA recognition in 2016, although he resigned when it became apparent the club hadn’t yet caught up with the newly professionalised climate. Peace may be the norm now, but prosperity doesn’t come so easily. Previous articleShould heading the ball be banned until the professional level? Next articleSliding Doors: What if Liverpool had signed Gareth Barry in 2008?